If you want to enjoy an exhibition of Italian Renaissance art in Tokyo, you have two choices at the moment: “Caravaggio” at the National Museum of Western Art, and “Gems and Jewellery of the Medici” at the Tokyo Metropolitan Teien Art Museum. Later this month and next, you have even more choices, with “The Genius of Michelangelo” at the Shiodome Museum and “Venetian Renaissance Paintings” at the National Art Centre Tokyo—something to do with the 150th anniversary of diplomatic relations between Italy and Japan. The Caravaggio exhibition is particularly strong: 11 of the 60 surviving Caravaggio paintings are gathered here in Tokyo. But the National Museum of Western Art is hardly an ideal venue, with its brutal modernism and underground galleries. Those seeking a more aesthetically immersive experience may therefore prefer the Medici at the Teien. The Teien is an elegant art venue in its own parkland, rather like Rome’s Borghese Gallery. Although in the case of the Teien, the building is in the art deco mode, not the Borghese’s late Renaissance style. 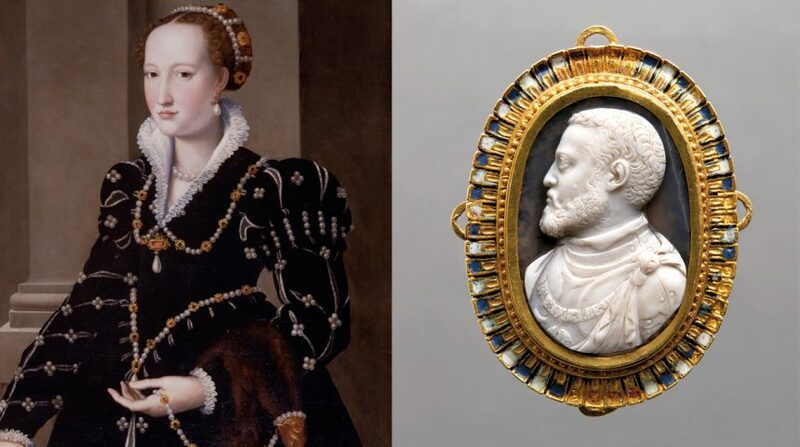 The exhibition focuses on jewellery with some paintings, and looks at the life and history of the famous Medici family, who rose to prominence in Florence through banking and politics, but whose modern fame mainly derives from their role as patrons of the arts. A striking portrait of the most famous Medici, Lorenzo the Magnificent, greets visitors soon after they enter. 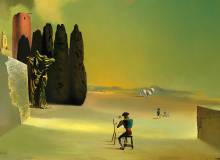 Overall, the paintings are not of the best quality; one naturally expects more from an exhibition hailing from a global art capital like Florence. The best-known painter here is the Mannerist Agnolo Bronzino (1503-1572), represented by a portrait of Maria, the daughter of Cosimo Medici, the first Grand Duke of Tuscany; and one by his workshop of her sister Isabella. Both daughters had short lives. Maria died from malaria aged 17, while Isabella, an unusually independent woman for her time, appears to have been killed at 34 by her jealous husband. Bronzino’s smooth, lucid style gives Maria an enchanted doll-like appearance. 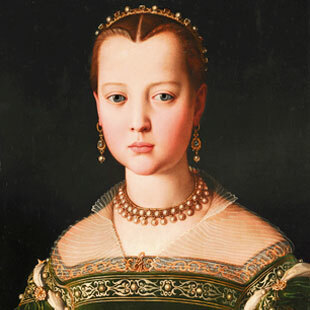 Other portraits tell similar tragic tales, including one of Joanna of Austria, the wife of Cosimo’s son Francesco. She is rumored to have been murdered by her husband so that he could marry his mistress, Bianca Cappello. 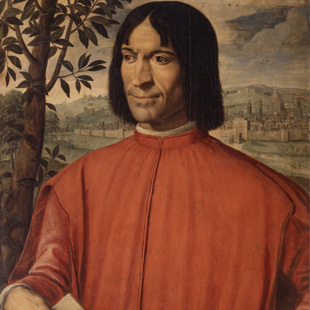 Both Francesco and his mistress are also represented by portraits. In almost all the portraits, the jewellery shines forth. In particular, pearls seem to have been popular; this is echoed in the items of jewellery on display. There are several imaginative pieces based on the irregular shapes of larger pearls. One pearl is turned into a dragon, another into a dragonfly, complete with jewelled wings, and another into the naked breasts of tiny sirens. 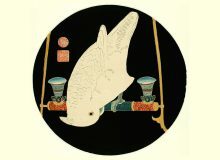 There are also several small cameo works, relief carvings of stones—such as onyx, sardonyx, and agate—that have bands of different color, allowing the craftsmen to give the incised and raised areas different colours. The jewellery works displayed are exquisite, but this is also part of the problem. There is so much fine detail to see that one has to get really close up to see it, but the spacious display cases won’t allow this. Some additional thought should have been given to this technical aspect, perhaps by using some kind of magnifying display glass or other enlarging device. Teien Metropolitan Museum of Art. Until July 5.